Mounding evergreen perennial with rounded or kidney-shape, shallowly toothed, leathery green leaves, tinted violet on the undersides. 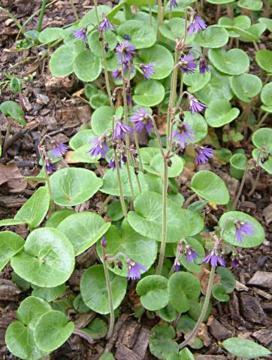 In spring, slender stems carry small pendant, bell-shaped, lavender-blue flowers with fringed petals. Humus rich, moist but sharply drained, neutral to acid soil, in full sun or part shade in mild areas. Dislikes excessive winter wet. Rock garden, raised peat bed or alpine house. 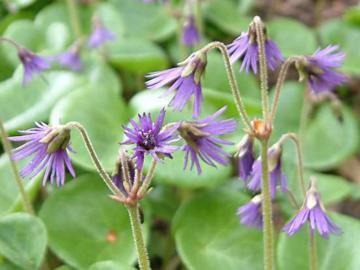 From mountain areas of central Europe.